Rediff.com » Movies » Like the poster of Dishoom? Like the poster of Dishoom? Varun Dhawan turned to social media to share the first official poster of his next film Dishoom. ‘So this is how Kabir and Junaid walk into work on a monday morning. 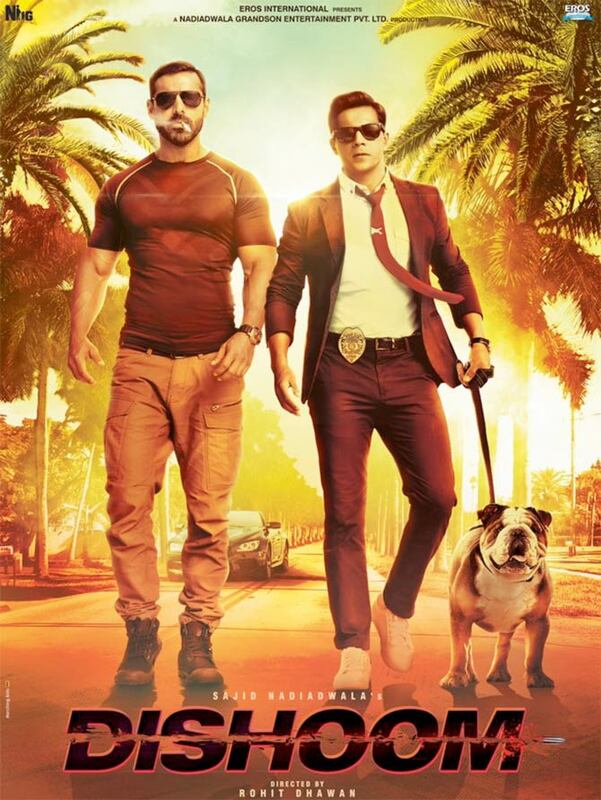 #Dishoom #DhawanAndAbraham #BuddyCops #Bulldogsrule #Wewalkinslomo. Trailer out on June 1st,’ Varun wrote on Instagram. Directed by debutante Rohit Dhawan, the action-adventure film also stars John Abraham, Jacqueline Fernandez, Saqib Salem, Akshay Khanna, Akshay Kumar and Nargis Fakhri. Dishoom will release on July 29. 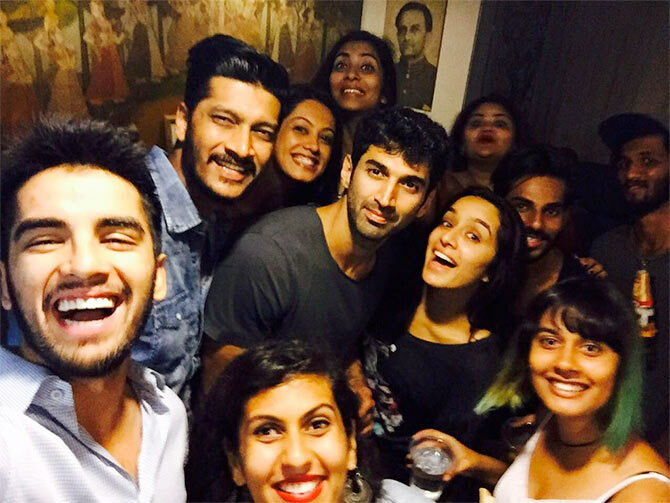 It’s a wrap for OK Jaanu! Shraddha Kapoor ‏and Aditya Roy Kapur have completed shooting for the official remake of Mani Ratnam's Tamil film OK Kanmani. ‘#OKJAANU releasing on 13th January 2017! #ManiRatnam @karanjohar #Gulzar #ARRahman #ShaadAli #AdityaRoyKapur,’ she added with a still. Directed by Shaad Ali, the film is scheduled to release on January 13, 2017. Director Ali Abbas Zafar took to Twitter to share a new still from his upcoming film Sultan. ‘Aarfa @AnushkaSharma simply beautiful,’ Ali tweeted. Starring Salman Khan, Anushka Sharma, Randeep Hooda and Amit Sadh, the film releases on July 6. Newlyweds Bipasha Basu and Karan Singh Grover recently shot for an episode of The Kapil Sharma Show. Filmmaker Sujoy Ghosh has completed shooting for his next Hindi film Kahaani 2 in Kolkata. 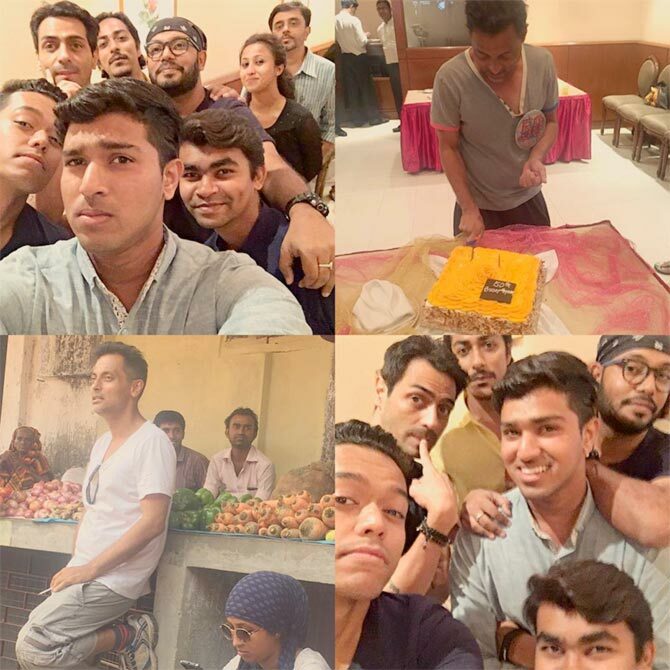 Arjun Rampal, who plays a police officer in the film, shared some pictures from his last day on the sets. ‘The most hardworking team I have worked with. Super energy on a super film. Love you guys, Ty so much. Miss u all. #kahaani2 #tapan #kushal #ivy #jerrin #hmmmAgni #mohammed #Shom,’ he wrote with a collage of pictures. The film, which also stars Jugal Hansraj, will release on November 25. Buzz is that Madhur Bhandarkar has approached actress Radhika Apte for his next Hindi film. The film is said to be set during the Emergency. Randeep Hooda, who went lean for his role in biopic Sarbjit, has put on weight. ‘It's also my tribute to @Schwarzenegger..the pose and all.thank you #inspirational,’ Hooda added. 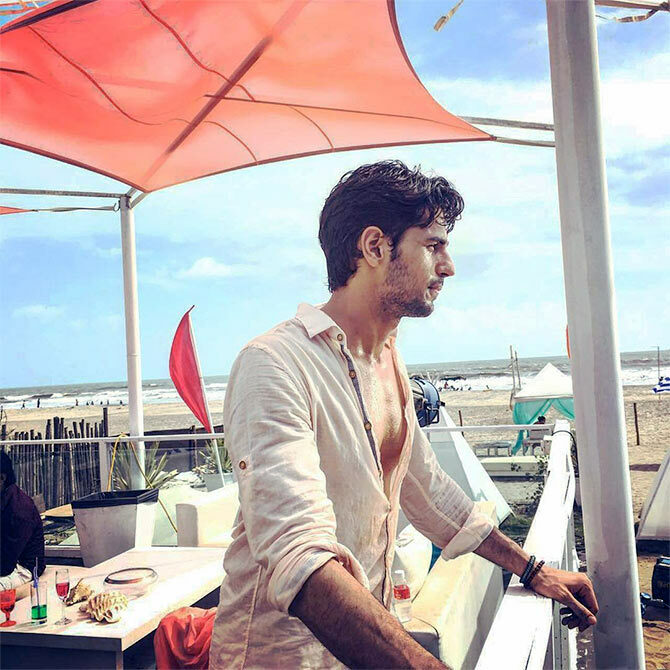 Sidharth Malhotra is currently shooting for a TV commercial in Goa. Sidharth will be next seen in Baar Baar Dekho, which releases on September 9. It's Aamir versus SRK in a desi X-Men: At least on our wish-list! SRK's son AbRam Khan's adorable pictures!